* This attractive personalized bistro sign is the perfect canvas print for your kitchen or diner. 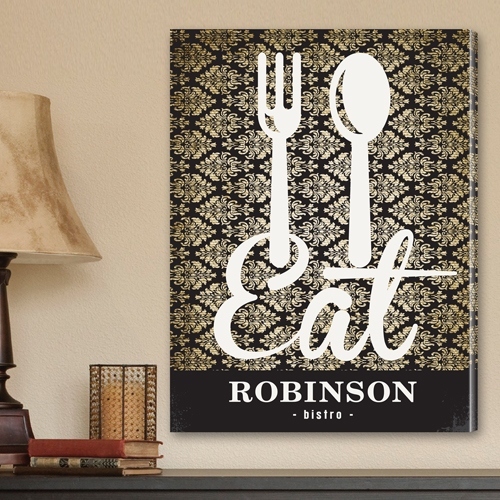 * It features a bold fork and spoon logo with the word ‘Eat' over an ivory and black, wallpaper style filigree pattern. * Personalize it with your family name to bring a little vintage bistro style to your home.